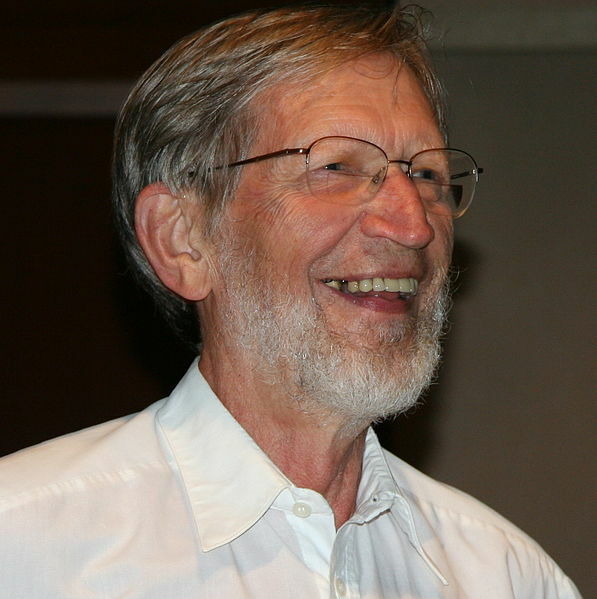 In his review of Alvin Plantinga’s Where the Conflict Really Lies: Science, Religion and Naturalism (“A Philosopher Defends Religion," The New York Review of Books, 9/22/12), Thomas Nagel deals with the work of “a distinguished analytic philosopher known for his contributions to metaphysics and the theory of knowledge” who is also “an evangelical Protestant.” Nagel quotes Plantinga as saying, “there is superficial conflict but deep concord between science and theistic religion, but superficial concord and deep conflict between science and naturalism.” Nagel is viewing Plantinga from an opposing perspective. Aquinas talked about reason and faith, but someone like Nagel would find it difficult to argue that faith is what produces something as beautiful as reason, as a theist like Plantinga might argue. “My instinctively atheistic perspective implies that if I ever found myself flooded with the conviction that what the Nicene Creed says is true, the mostly likely explanation would be that I was losing my mind, not that I was being granted the gift of faith.” But Nagel is curiously generous. John Searle once argued that the two great as yet unanswered questions are free will and quanta. And while Nagel is not about to be quietly complicit in the face of Plantinga’s sacral universe where everything is explained by God, he does lay down arms when it comes to the question of consciousness and how naturalism “can account for the appearance, through the operation of the laws of physics and chemistry, of conscious beings like ourselves, capable of discovering those laws and understanding the universe that they govern.” Atheists like Nagel and Dawkins inherit the legacy of Max Weber’s disenchantment, in which all observation is earthbound. But there is a wistfulness in Nagel’s generous appraisal of Plantinga’s work, as if the intrinsic enchantment of nature, made total disenchantment itself a subject for the skeptic’s eye. Boredom is an unfairly maligned emotion. Inspiration, which shares some qualities of the sugar high, is what most artists claim they seek while enthrallment is what makes most readers buy books or theater tickets —either enthrallment (Fifty Shades of Grey) or edification (How to Win Friends and Influence People). Boredom is certainly not what the potential lover seeks of his beloved. However caveat emptor, passion is like madness, a form of idealization that’s nature’s way of facilitating biological urges amidst the shoals of consciousness. Similarly, catharsis which produces enchantment and enthrallment can be delusory and manipulative, Aristotle’s Poetics notwithstanding. Boredom is less tolerated today then it was in the era of Edith Wharton and Henry James or even later in the high modernism or post-modernism of John Cage and Merce Cunningham. Both the way in which James reticulated prose captured states of being and the way in which Cunningham and Cage sought to redefine the forms they employed required some degree of work on the part of their audience and the result in the case of Cage, in particular, could be intentionally boring. Today, life is moving so fast, there is no time for boredom. Posts come and go on Facebook like the women in T.S. Eliot’s Love Song of J. Alfred Prufrock, “talking of Michelangelo.” How prescient Eliot was about esthetics evolving into creative gossip! But count to a hundred or maybe a thousand before you lose patience with people or artworks. When Waiting For Godot had its US premiere in Miami’s Coconut Grove Playhouse back in l956, with Bert Lahr as Estragon, the audience was hardly enchanted. Now Beckett’s play is part of the canon, but is it boring to watch? 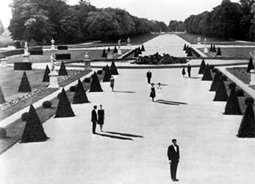 And what about Alain Resnais' Last Year at Marienbad, in which not very much happens, or Robert Wilson’s The Life and Times of Joseph Stalin which went on for 12 hours? The theme of The Master is the whole human project, that is the endeavor of reforming human character--as represented successively in Rousseau, in Marx and Freud. 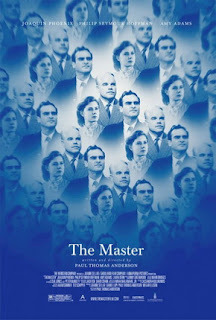 The director Paul Thomas Anderson is a retrograde form of original. There Will Be Blood, his previous film was jagged edged, a larger than life East of Eden with Lawrentian overtones. Here too the palette is rich and full of leitmotifs. The director loves the sea and the gnarled morphology of imperfect bodies. There’s a wonderful scene of fulsome nudes that could easily have been drawn from Poussin. You are confounded by hosts of associations. Is Anderson presenting man in nature or man in some self-created hell? Is there an Adamic or for that matter Rouseauesque form of innocence to return to? To discountenance The Master’s debt L. Ron Hubbard, is to hijack the ambition of the movie, which deals with a science fi writer who invents a form of therapy called “processing” (Scientology’s Dianetics) which deals with both past traumas and past lives. Philip Seymour Hoffman plays the Master, Lancaster Dodd. His disciple is Freddie Quell (Joaquin Phoenix), who bears no small resemblance to the savage Alex of A Clockwork Orange. He is the litmus test, the petrie dish in which Dodd’s theories will be tested. If The Master is filled with cultish perversity, Quell is one of Freud’s case studies, The Rat Man for example, viewed in a fun house mirror. But the brilliance of the film lies in a disquisition which defeats causality. Scenes occur with no warning and no build up. The chaotic Freddie drunkenly stumbles onto a yacht where a wedding is about to take place and enters history. We go back into his past as he is treated with harrowing “applications.” Then his own psycho-history takes on a life of its own, in which he is eventually released from the jaws of memory into something worse, the despair of his own life. Abandoned by his Pygmalion, Freddie returns to one of the earlier set pieces of the movie, as a helpless creature curled up against the haunting figure of a woman carved in sand. 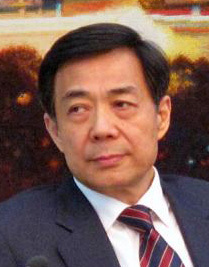 The Times reported that Wang Lijun the police chief and former associate of Bo Xilai, the disgraced former Communist party leader, was sentenced to 15 years for “defection, abuse of power, taking bribes and bending the law for personal gain” (“Police Chief in Chinese Murder Scandal Convicted and Sentenced to 15 Years," NYT, 9/23/12). Bo Xilai wife’s Gu Kailai was given a “death sentence with a two-year suspension which means she will probably end up with a long prison term” and the fate of Mr. Bo, once in line to becoming a major figure is still undetermined. The case, involving as it does both the murder of a British businessman, Neil Heywood, and an ambitious Chinese politician, epitomizes the seemingly conflicting forces in Chinese society. China suffers from cultural and economic schizophrenia. Its economy is a juggernaut, powered by free market capitalism and private enterprise. Yet it still has a powerful Communist Party which operates in a clandestine manner, taking back freedom as fast as it gives it away. Usually freedom of expression and free market capitalism co-exist, but in Chinese society the two are often at odds. Will we really ever know the real story of what accounted for Bo Xilai’s fall from grace? During the cold war the two Germany’s exemplified warring ideologies. In today’s China, the same conflict exists under one roof. It serves China’s purposes to give the impression of being a dynamic and open society, but the reality is often otherwise. Alison Klayman’s documentary Ai Weiwei: Never Sorry, demonstrates how the Chinese government gave the prominent artist just enough rope to strangle himself with. When Ai Weiwei out lived his use and his outspokenness no longer was a source of useful publicity, he was silenced. China has enormous resources, but true freedom is the one thing that money (and the prospect of increasing economic expansion) is still not able to buy. 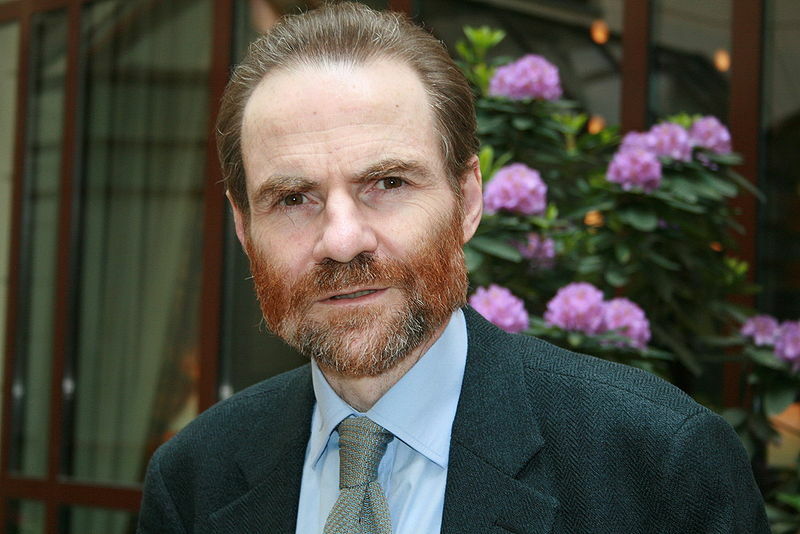 In a special section of the September/October issue of Foreign Affairs pithily titled “Eurodammerung,” Timothy Garton Ash has brought his great erudition to bear upon the prospects of the EU. In the article, “The Crisis of Europe, "Ash talks about the political legacy of the Second World War, as informing the drive for an economically united Europe. There are some precious vignettes like the one in which Ash is talking to German Chancellor Helmut Kohl who asks, “Do you realize that you are sitting opposite the direct successor to Adolph Hitler?” He quotes Milan Kundera about “the kidnapped West,” describing the inertial force driving the inhabitants of former Iron Curtain countries. He invokes Gabriel Garcia Marquez when he describes the ensuing invention of the Euro as “Chronicle of a Crisis Foretold,” and in discussing how the scales of economic justice would be upset by the juggernaut of a united Germany, he quotes Thomas Mann, “Not a German Europe but a European Germany” and goes on to remark “What we see today, however, is a European Germany in a German Europe.” For Ash the collective memory which inspired the idea of unification and common currency has been lost. “There is a new dividing line across Europe, not between east and west but between north and south,” Ash soberly concludes. “Now, and probably for years to come it will be a very different experience to be a young German or a young Spaniard, a young Pole or a young Greek.” The cold war was a battle between two ideologies: capitalism and Marxism—both ideas, products of the Enlightenment. Now, if we are to read Ash correctly, European unity is threatened by something far more regressive, the return to a kind of tribalism in which to quote Jerry Butler, the sixties soul singer known as “The Iceman,” Only the Strong Survive.